"...looking at how bionics can transform people's lives. We will meet a woman deciding whether to have her hand cut off for a bionic replacement and analyse the potential to take the technology even further, enhancing the body to superhuman levels. The series continues [...] with a look at some of the earliest prosthetics from ancient Egypt. Technology has always strived to match the incredible sophistication of the human body. 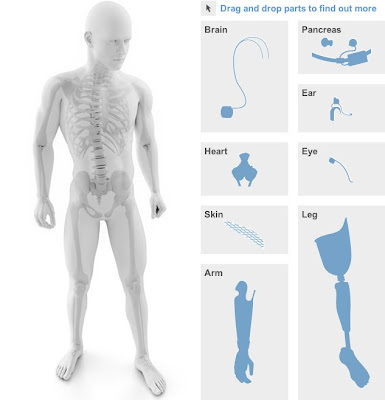 Now electronics and hi-tech materials are replacing whole limbs and organs in a merger of machine and man."